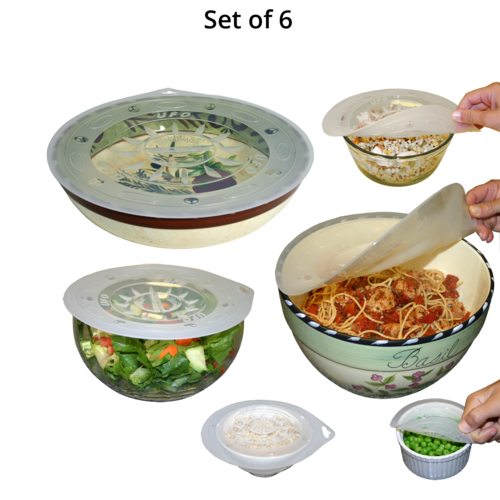 Great as a splatter shield in the microwave & oven and as a refrigerator storage cover. Eco-Friendly - Replaces single use plastic wraps, zip bags and aluminum foil. 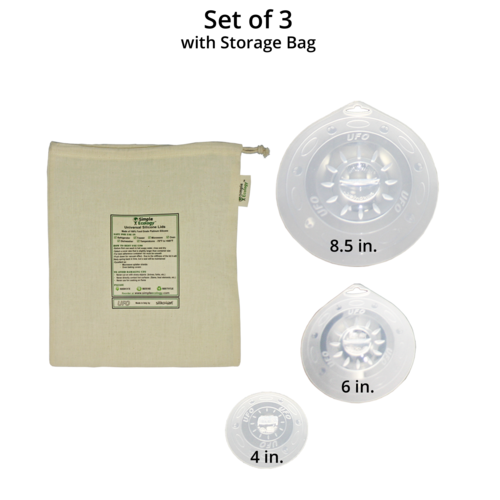 Heavy-duty professional quality lids that are flexible and lightweight. 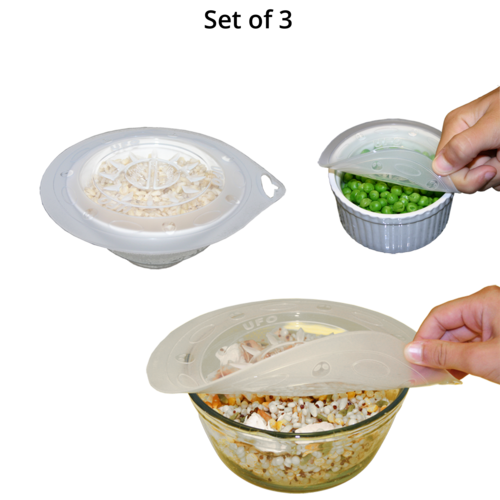 The UFO serves to protect food by keeping it airtight inside the container, creating a vacuum effect. It fits to every type of smooth rimmed pan and container and can be used on every type of surface including glass, metal, plastic and ceramics. 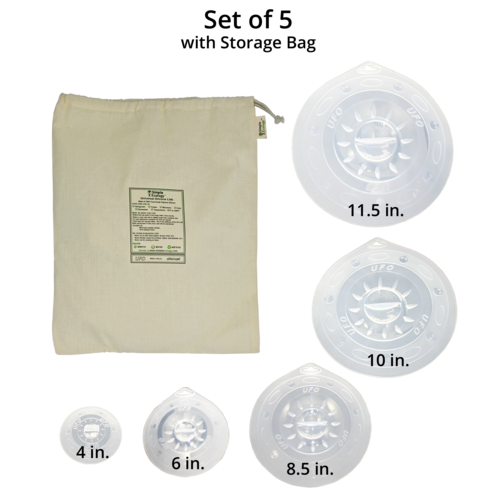 The lid remains perfectly functional at all temperatures between -76 degrees F and +446 degrees F (-60C and +230C), is UV resistant and does not deteriorate over time. Made in Italy by Silikomart, a premier European supplier of silicone baking moulds and accessories. Silikomarts products are carefully tested and are FDA and CE compliant. 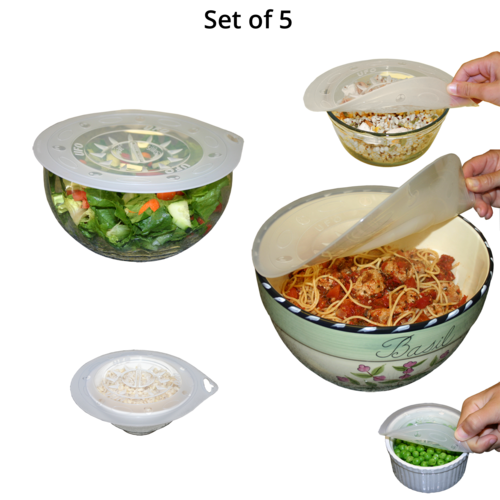 UFO silicone food covers are an optimal multi-use alternative to traditional single use products like plastic transparent film, plastic zip bags and aluminum foil, which all present several inconveniences. Transparent film easily twists and sticks together, does not always seal to the container and sometimes does not cover the full width of a container. Plastic film or bags should not be used in a microwave and cannot be used in the oven. Aluminum foil is not airtight, deteriorates when touching acidic foods like tomato sauce and is not microwavable. Wash in hot soapy water, rinse and dry. The covers are dishwasher safe, place them in the upper rack. Be sure that they don't fall and touch the bottom drying element when it is hot.